From 2008 -2013, if you needed help with css scripts showcase, php scripts, ajax scripts, CMS Drupal, CMS Joomla, or CMS WordPress, W3CGallery.com was the place to go for answers. More recently we added big data, data science, and related support via our DevOps architect and our team of data developers devoted to the support of server side software addressing large systems and development in the cloud. Content is from the site's archived paged providing just a small sample of what they offered their readership. All of our Package with a 100% satisfaction guarantee! First time be bring full CMS solutions for designers, blog owners and site holders to convert their blogs as your other site design, or create full dynamic site in WORDPRESS, DRUPAL OR JOOMLA, at reasonable price. 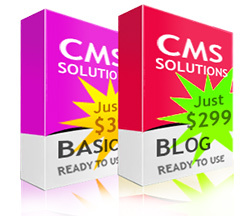 We will design your blogs, cms or convert into your design! Who is behind CMS Solution? This service is for designers who don’t have the expertise to theme a CMS from their design, developers who need to outsource project components to leverage their time and for web companies who need a professional service to take care of this particular task in an effective and affordable manner. We request full payment up front, if you are using our service for the first time we will do half up-front and half on completion if you prefer. What type of files should I send you? 100% JPG of the layout with your submission for our purposes. If you have an existing website and would like it migrated to a CMS, see the next question. or edits made to the system after we have finished the project that break validation. and Safari. If you are needing it to be compatible with a particular browser not mentioned here please let us know on submission. I don’t have a design. Can you create one for me? Yes, we can create design for you. Do you setup on my domain also ? We do give refunds before we commence the CMS Solution and we are happy to refund your money if you are not satisfied with the finished product. Who will own the final CMS Solution? You will own all the rights to your CMS and design, after all they are yours anyway! Will you keep a copy of my CMS? Exclude/Stop any category posts to displayed on any page As wordpress being used as CMS now a days, we need many trick to use it properly, coz our requirement are different each time when we develope any new site with WP. Some time we dont want to show any particular category post on home page. or any other page, so this trick & hack best for you. How to add Child Categories as dropdown menu in Wordpress by CSS help. To make a wordpress blog or Cms we need this a lot, even to make wordpress blog more user friendly, we require to add child pages (subpages) as dropdown. but as there not plugin i guess so many developer or site owners face problem. or hire developer to fix it. Here we giving you very simple way to make a dropdown menu by css help. just you need to follow our steps and you are done ! Recently, I was creating one website in which there were loads of database entries which I needed to integrate into Wordpress Blogging system as it is really flexible. But the default option of Wordpress is that it always shows all the posts in reverse chronological order but I wanted to change posts order so that the posts on the front page is displayed in an ascending order. Hope that helps someone who is looking for this code. If you have any other Wordpress queries, then you can make a comment on this post..
Php how to delete duplicate records from mysql?? Is there any way to delete duplicate records from mysql by php ??? if you are one who searching this in google, so answer is YES. how i will let you know. see this post below and you will do that easily. records those greater than 1 of number rows. coz 0 is the original 1st records and we have to keep it and delete similar other records.